Many schools require some kind of "Restroom Log". 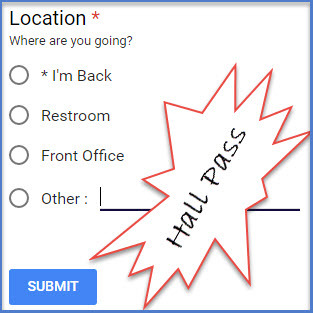 This Hall Pass Form will keep track of this in an efficient manner. The hard part is getting the computer or tablet for this purpose. You should use this device as a dedicated device. Can't get one? Try DonorsChoose.org and get a Chromebook. One option will be to set up a Kiosk App from the Chrome Web Store. The Zebradog Kiosk by Matt Cook works great on a Chromebook. It is not necessary, but it will prevent students from changing or closing the website. Instead, a tablet will work just fine. A Copy of Hall Pass Log will be created. 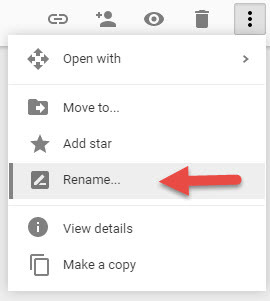 Go to your Google Drive. 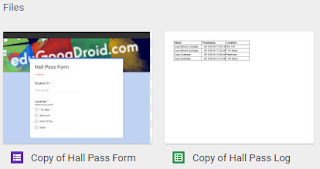 You will also notice that a Copy of Hall Pass Form was created. You can always rename them. 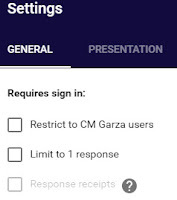 One change you will need in the Hall Pass Form is to make sure that it is not restricted to Domain users, and it does not Limit to 1 response. It was not designed for this. It was designed for efficiency. Another change is to add (or remove) the locations where students can go. Since I cannot foresee the multiple locations that a student can go to at the high school level, Other: is an option. At the bottom, you will find 4 tabs. The * Log (Recent First) * tab should not be edited. The Roster tab should be edited. You will remove the students there and add your students. A unique identifier should be there. It's usually called Student ID Number. But, don't change the headings (Name, and ID). Now, install the copyDown add-on. If you don't have it, Get add-ons.... After, start or check the copyDown settings. After, a new column will be created in the Form Responses tab. 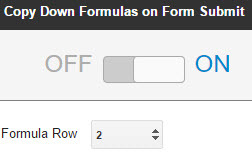 Make sure that Formula Row 2 is selected. An empty submission may have been created. Open the form and try it. Open the * Log (Recent First) * tab and you will see the recent submission on top no need to scroll down. It may take a second or two for the Name to appear. Something not working correctly? 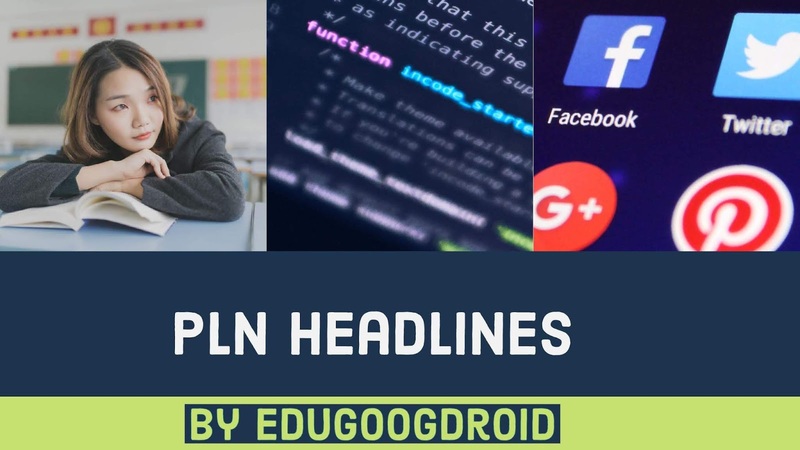 Send me a comment below (G+).